FULL CIRCLE: a recap of my workshop at ICON 9 in Austin. 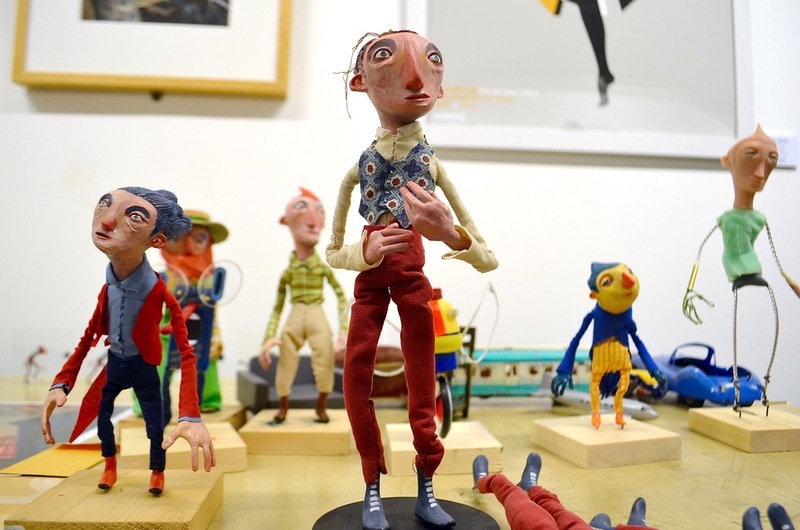 the results from the Full Circle: the art of the stop-motion animated loop. that was part of ICON 9 in Austin. 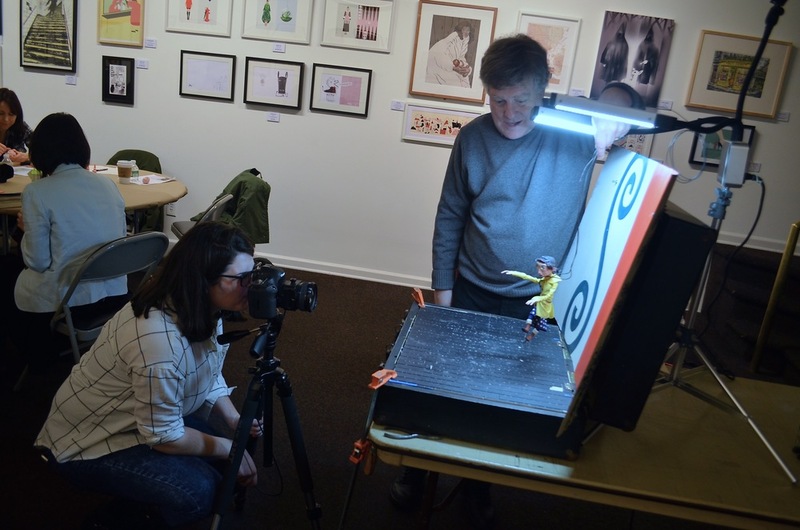 recently i had the opportunity to lead another one of my crash course stop-motion animation workshops at the Society of Illustrators. 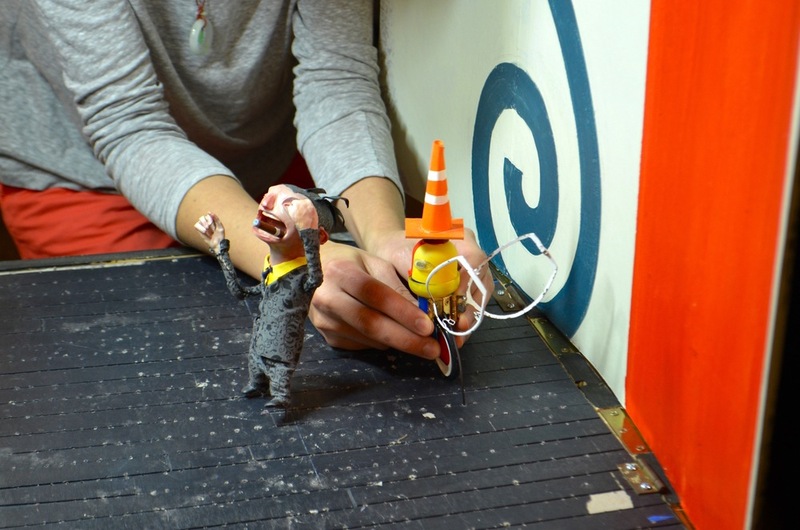 at high noon on Jan 9th, 19 participants came to the society to try their hands at stop-motion animation. each group got to pick from several wire armature puppets and various props that i brought along. the goal is to make the experience as immediate as possible. working in a medium where it can easily take a 10 hour day to shoot few seconds, the participants are expected to have 2-10 seconds within about 30 minutes. we also discussed materials and fabrication techniques and folks tried their hands at working with sculpey as well. i want to thank everyone for spending their afternoon with me and my backward ways of doing things. if anything was taken away that day i hope it was the notion that just jumping in and trying something without overthinking can lead to some interesting doorways. thanks to the Society for taking photos that day and allowing me to share them here. 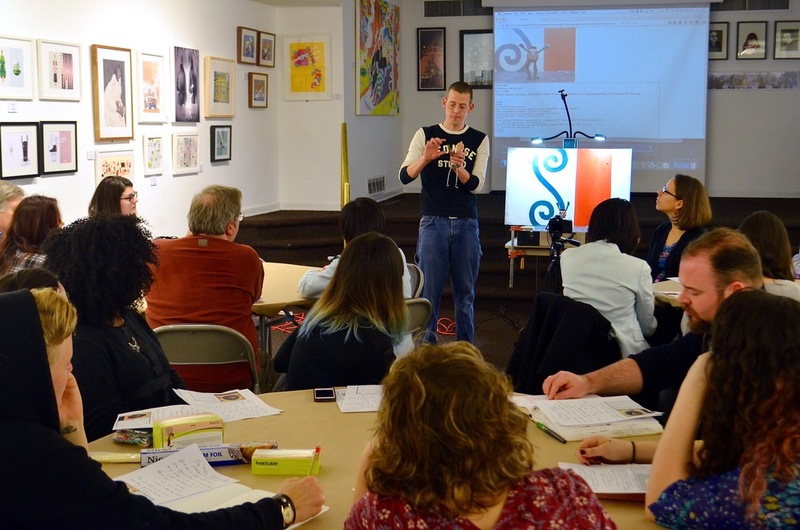 here are the loops created by groups of 2-4 participants. each group had approximately 30 minutes on stage to animate their loop.